One of the most frequent questions I get asked is what kind of shampoo and conditioner system I use. In the past, I always got away with using whatever cheap drug store shampoo and conditioners I could get my hands on, but as I’ve gotten older, the importance of investing in my hair has become a priority. I was recently diagnosed with a ton of not-so-fun allergies, which has prompted me to reevaluate not only the food I eat but the beauty products I use. One of the things that I’ve eliminated from my house is sulfates. Sulfates can be found in shampoo, conditioner, body wash and even toothpaste. 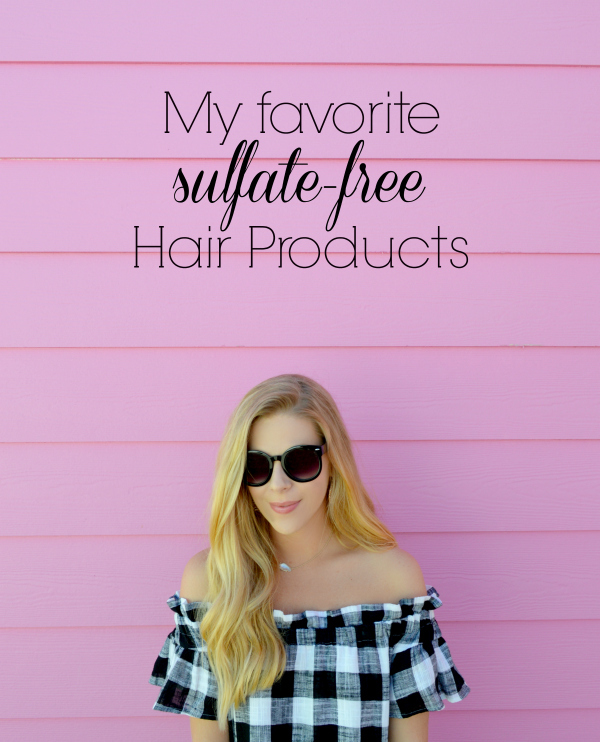 If you’re interested in learning more about sulfates, this is a really great article! This brings me to my latest beauty find Hair Food’s Sulfate Free Color Protect Collection. 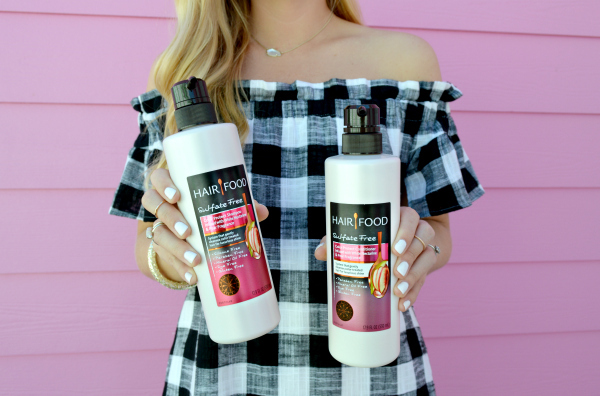 Having talked about my search for cleaner beauty products on social media, I was introduced to Hair Food through Simply Stylist and have since partnered with them to share this new collection. I have been using their shampoo, conditioner and dry shampoo for a few weeks and I am a believer! This collection gently cleanses and conditions color treated hair for luxurious shine. The collection smells AMAZING, with hints of white nectarine and pear. The best part is the formula is free of sulfates, silicones, parabens, gluten, mineral oil, and dyes. It’s hair care products you can feel good about. This Sulfate-Free Collection is designed to deliver a rich, comparable lather to your everyday shampoos. Just as you feed your body with delicious, nourishing ingredients, your hair is also hungry for real nourishment. Satisfy all of your hair’s cravings with free-of formulas, without sacrificing cleansing benefits. Hair Food products are available at Target stores nationwide and online at Target.com. I am always looking for cleaner products! Thanks for linking the article about sulfates! Great post girl! Haven't heard of this brand before. Thanks for sharing, I'll check it out. I love your dress. So cute. These are really fashion must haves. Even I can't get enough of drop waist dresses. Love the gingham dress. Thank you for sharing the hair products.